Submitted by mahoney on Thu, 02/07/2008 - 12:43pm. Vegetarian Restaurants across the USA including Alaska and Hawaii...Vegetarianism is the practice of a diet that excludes all animal flesh, including poultry, game, fish, shellfish or crustacea, and slaughter by-products. The reasons for choosing vegetarianism may be related to morality, religion, culture, ethics, aesthetics, environment, society, economy, politics, taste, or health. There are several variants of the diet, some of which also exclude eggs and/or some products produced from animal labor such as dairy products and honey. Veganism, for example, excludes all animal products from diet. By some strict definitions, animal products are not used for attire either, whether or not the production of clothing or items has involved the actual death of an animal (dairy, eggs, honey, wool, silk, down feathers, etc.) A generic term for both vegetarianism and veganism, as well as for similar diets, is "Plant-based diets". Properly planned vegetarian diets have been found to satisfy the nutritional needs for all stages of life, and large-scale studies have shown vegetarianism to increase longevity, improve health, and significantly lower risks of cancer and other diseases. 04/19/2008 Removed Duplicate file entries. Thanks to POI user "ithmo1"
05/22/2008 Added 3 California locations. Special thanks goes to POI Member "TheVanman"
06/17/2008 Corrected 2 Baltimore, MD locations with special thanks to POI member "Spril"
06/17/2008 Deleted some locations that are not true vegetarian restaurants. 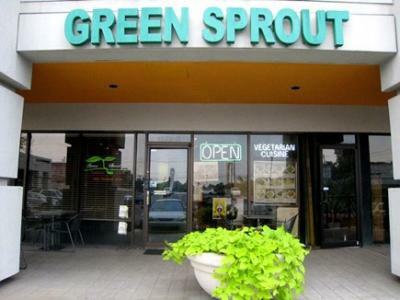 06/20/2008 Deleted non-vegetarian locations from list and added 15 new locations with help from POI member "Spril"